Q: I had a dream I want to share. There were two men that wanted to kill me and I did everything I could to hide, to escape. I stole a car and left them behind. Finally I found the place very remote and hidden where I was safe, and the men were waiting for me, and said, ‘hello, here you are.’ I knew they were going to kill me, and I knew I was able to stop the dream, but there was some kind of curiosity to see how it would go and they killed me. It was only quiet. I woke up and the first thought I had was ‘I could have had that quicker and easier without all that running and hiding and trying to escape.’ Is that something that I would see on my deathbed if I don’t immediately, fully respond to what I know? John: Yes, in your dream you need only to be you and not what you’re thinking and feeling. When in your dream you were simply being you, there’s nothing for you to fight or run away from. When you are simply being you, everything stops, you relax, and everything that’s taking place toward you doesn’t threaten you. In your dream, you’re an irritant to your self, and you in your self react to you irritating your self, so you’re playing out these two parts. When you completely relax in your dream, there are no longer two parts. There’s no longer any kind of game. There’s just you profoundly okay as is. Q: Was the curiosity a kind of relaxation? It was clear to me what would happen and there was no fear. John: That’s because you were relaxed in what you knew. You were relaxed in you. When you are being you instead of what you think and feel in your self, you don’t fear, you can’t relate to fear, and you love. Q: For some time now I don’t hear with my physical ears, but with other kind of ears in my belly or beneath my belly, moving there and activating something. I hardly can feel my heart, so do I have this kind of ears in my belly because my heart centre is closed? John: You have it lower because your heart is opening, even if you can hardly feel it. Q: When you said everything is pounding open, it feels like since then I was closing on some level. On another level it feels like something different is opening, but it comes from beneath the heart. This is a different opening now, from some years ago. It feels more direct and real. There is a sense that something is coming together. This really has to do with me. John: It’s a deeper level of your base chakra that is opening. When you are fundamentally quieted, within, and that quieting begins to stabilize your self, when it begins to quiet your self, your own foundation shifts. Your foundation ceases to be about security and it begins to open into a deeper level. Your foundation begins to move as your own deeper womanness. 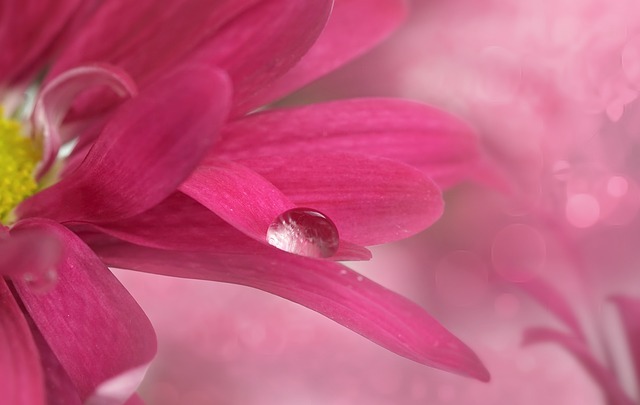 The well-being of your self begins to come from your deeper womanness. Q: Womanness has to do with the base chakra, and with sexuality?. John: A surface sense of security has to do with the surface of your womanness. When you are all about your security in your self, you’ll be living in a surface level of your womanness, which is a masculine use of womanness. 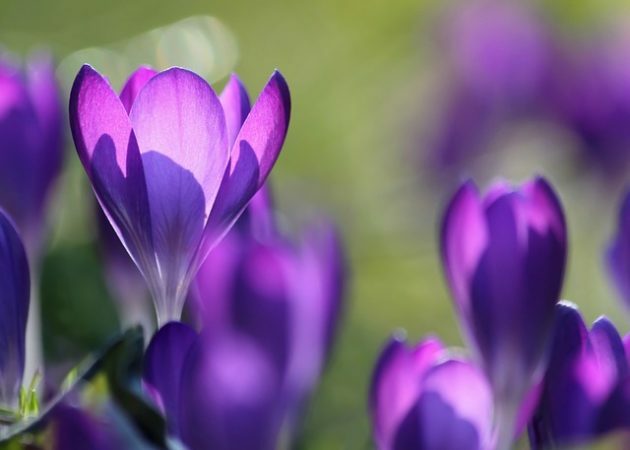 As your heart opens and the opening of your heart begins to settle deeper into you and deeper into your self, your deeper heart opening, as little as it may seem to be, begins to affect your sexuality in a way that’s uncommon to you. It’s a different level of your sexuality that moves. Q: Yes. It has less to do with sexuality I am familiar with, but feels more like a basic life energy. John: It’s a nurturing life energy. As that moves, there’s nothing for you to do with it. All there is is for you to be warmed in it. Be warmed while your lower energy center opens from within a deeper level. It’s a deeper level of that energy center. For you to be in the midst of that in the same way you know to be in your heart, just quietly warmed, what you really are gets to come a little bit more into form and have more substance. Your own being through that level is beginning to come into your body and into your experience in a way that is thicker. It’s your own being having fuller access into your existence, your being coming into existence. Q: I have a really subtle sense of that. John: Within that subtle sense you realize that the movement of your sexuality is subtly different, and it’s that difference that has your attention. It’s within that subtle difference, because it is of a deeper level, that when your sexuality moves, your being moves. It’s there that your sexuality is directly connected to your being. That’s not the level of sexuality that you’re accustomed to. This level of your sexuality doesn’t address your self. It doesn’t move your self. It subtlely moves your being. It’s the beginning of your sexuality belonging to your being. As this becomes stronger and stronger, if you remain quieted in it and gentled in it, like an openness and a softness of heart, in the midst of it, the more that your sexuality moves on that level, the more your being is moved. In this way, through your own sexuality and its movement, your being is drawn up into your heart because that’s why it moves, and from there your being is drawn up into your self. Then what begins to take place is that everything that deeply touches your heart moves your deeper sexuality. It moves your sexuality in the way that you’re awakening. As your sexuality moves, your being moves. As your being moves, your sexuality moves. The flow is like a figure of 8, instead of what you’re accustomed to of your sexuality, that when your sexuality moves, your self is activated, so the loop of sexuality moves in your self and stays in your self. In this awakening, your sexuality is connected directly to your being. Any movement of your being moves your sexuality. Any movement of your sexuality moves your being. Q: And that is a loop? John: The figure of 8. If you reference your self within this movement, you begin to break the connection, making the movement of your sexuality about your self. Your sexuality on a deeper level in the way that it’s opening is all about how nurtureful your own being is, and how the movement of your own being settles your self. The movement of your own being brings about a deep level of quietness in your self. In that, when your sexuality moves, your being moves. When either moves, your self becomes quiet and there’s a profound listening in your self. Within your self you can hear. You can hear a level of meaning. You’re attentive to a level of meaning that’s transforming you. Q: So, this is why I have the sense of hearing differently? John: Yes. For this to move in your body is safe. There isn’t anything for you to do with it. It moves in whichever way it does and you are simply warmed in it. When you’re warmed in it, it is your own being that continues to move as your sexuality moves. Q: It’s drawing me deep down, but it’s only safe as long as the figure of 8 is not interrupted. John: The figure of 8 in all of its movement is real and good and safe. It’s your own being coming into your body, coming into manifestation, and it’s changing your sexuality. It’s bringing your sexuality back to what it belongs to. It’s like a second puberty, but this time it’s a profound awakening. It is you going through puberty again because of the movement of your own being. The basis of it isn’t what your sexuality was about before. It isn’t the same as what the movement of your sexuality was before. If it moves powerfully, don’t be alarmed by it. If it moves powerfully, you’re fine. It doesn’t matter how powerfully the figure of 8 moves, it’s all profound goodness. You’re safe in it. You don’t need to do anything with it. It doesn’t matter what you think and feel about it. What you know in it of its depth and its quality, that’s what you’re saying ‘yes’ to; that’s what you’re resting in; that’s what you’re warmed in. This is going to bring up a depth of womanness that isn’t characteristic of your self. It’s altogether deeper and more than your self. This brings up a level of womanness, a depth of real womanness, that you’re not experienced in. You need no prior experience. 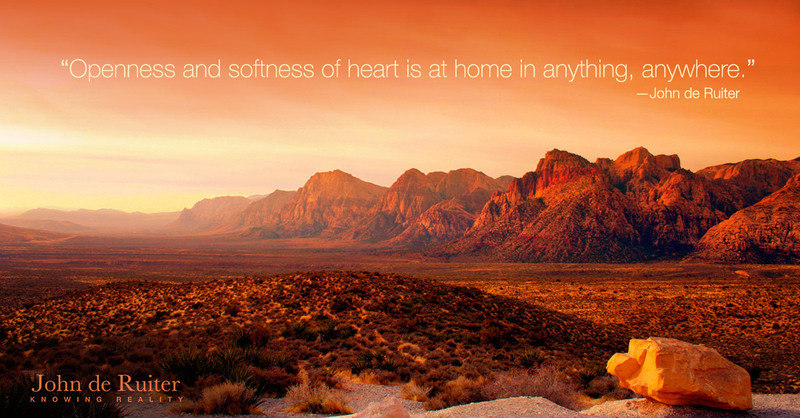 By opening and softening in your heart you know your way in this. Q: It feels like you’re opening a new land that’s laying in front of me. John: Live in this land. It’s your new ground. Its movement is based completely on you just simply remaining in your heart. Regardless of how this can be of any kind of turbulence to your self or in your self, you remain gentled and quieted, warmed in your heart, and all is good. It isn’t just a different sexuality. What comes with it into your self, into your body, and into your life, is a different reality. It’s the reality of your being landing in your self. Everything that it lands in, it changes. If you were ninety years old and this occurs, it would be the same. It’s a different level of your body that moves by different laws. They’re laws by which your being moves. Without these laws, your self couldn’t even exist, even though your self is not yet coordinated with these laws. 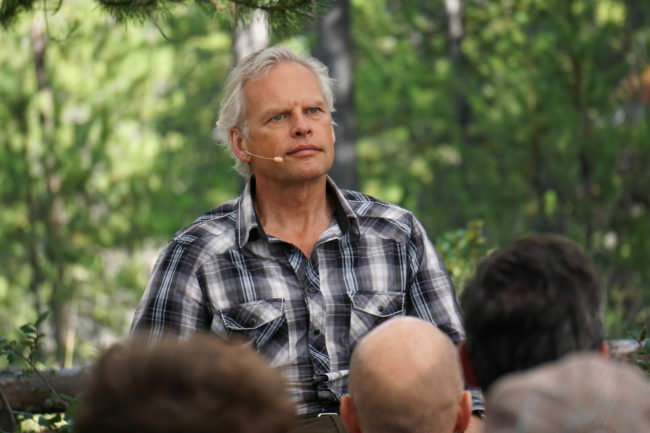 To listen to this meeting click Audio Download 263 – Quieted in Your Sexuality or see all the John de Ruiter Audio Downloads.